$499 DOWN Guaranteed Approval!!! This SUV gives you versatility, style and comfort all in one vehicle. 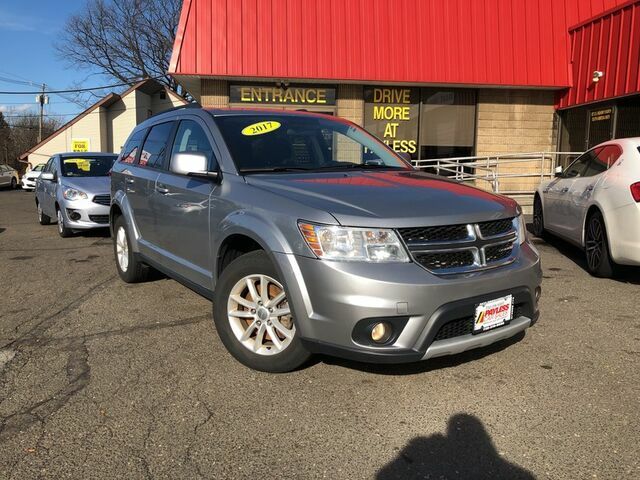 Enjoy the grip and control of AWD performance in this nicely equipped Payless Certified Pre-Owned Dodge Journey. Beautiful exterior. Clean interior. This Dodge Journey is so immaculate it is practically new. This finely crafted vehicle is engineered to last. But just in case it doesn't, you can take comfort knowing it comes with a manufacturer's warranty. More information about the 2017 Dodge Journey: The Dodge Journey competes in the crowded small SUV and crossover market. Offering an array of model choices, the Journey can be optioned quite nicely despite its low base price. A more powerful-than-average available V6 makes it reasonably quick for this segment of vehicles. Strengths of this model include powerful V6 engine, available all-wheel drive, seating for up to seven, and Good handling for a small SUV Call now (732) 316-5555 This one won't last! Whether you have good credit, bad credit, no credit or even in a bankruptcy or repossession we can help. Our goal is 100% guaranteed approval!! Call us at 732-316-5555 or come on in to our South Amboy, New Jersey showroom and one of our credit specialists will help you get the vehicle you deserve at a payment you can afford. The advertised price does not include sales tax, title, DMV fees, finance charges, prep fee and documentation charge of $289. All financing subject to lender approval, rates and terms may vary. Any payments listed are an example and not an offer or guarantee or terms and are subject to lender assessment of credit,down payment and term. Prices subject to change at any time. While every reasonable effort is made to ensure the accuracy of this information, we are not responsible for any errors or omissions contained on these pages. Please verify any information in question with your sales representative.